Fed up with high priced inspections that don’t tell you anything you didn’t already know? Then you’ve found the answer right here. We have made available a comprehensive 135 page training manual in large A4 format. It’s packed with over 200 full colour detailed images for easy identification of termites and better understanding of their behavior. It is written in layman’s terms for everyone. 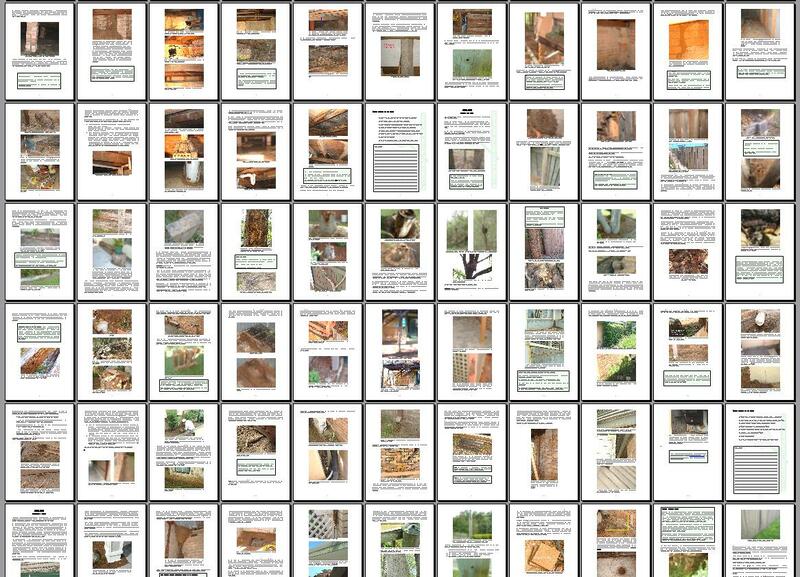 Not only does it contain information for absolute beginners, but it also has information to help the person who already has an above average understanding of termites. 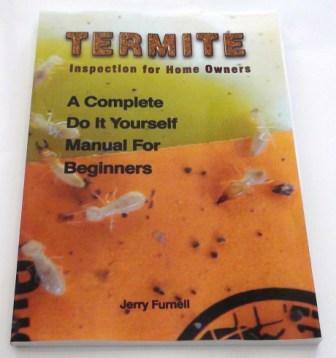 The manual clearly outlines and teaches you the basics of termite inspections just like the professionals do it, because it was written by a professional with over 18 years experience and hundreds of termite inspections to his credit. Guaranteed 100% money back in 7 days if not completely satisfied! Buy the book, examine it, read it from cover to cover, use it to check your home for termites for a full 7 days and if you don’t think it’s worth keeping we’ll refund you the full amount – no questions asked! Please consider: This manual can potentially save you from thousands of dollars in preventable termite damage while providing you with peace of mind that your house is safe. It’s a bonus that you’ll also learn many ways to prevent termites getting into your home. Learn how to make sense of your next professional termite report – understand what it says and what it doesn’t say. It can alert you to any current occurrence of active termites in your home. This will be revealed during the inspection process. It can also alert you to any areas of previous termite damage in your home that have yet to be repaired. Also revealed during the inspection process. And it can alert you to any new termite arrivals in your home in the future. It provides tips on ways to reduce the risks of termite invasion. Just implementing one of the expert tips offered throughout the manual could make all the difference between having uninvited termites or preventing them in the first place. The regular price for the printed manual is $49.50 inc GST plus shipping and handling to anywhere in Australia. Overseas freight is extra.